^ Henri Estienne (ed. ), Platonis opera quae extant omnia, Vol. 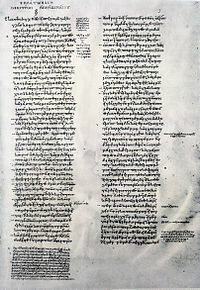 2, 1578, p. 327. ^ Brickhouse, Thomas and Smith, Nicholas D. Plato (c. 427–347 BC), The Internet Encyclopedia of Philosophy, University of Tennessee, cf. Dating Plato's Dialogues. ^ National Public Radio (August 8, 2007). Plato's 'Republic' Still Influential, Author Says. Talk of the Nation. ^ Plato: The Republic. [2010-07-20]. （原始内容存档于2010-01-24）. ^ In ancient times, the book was alternately titled On Justice (not to be confused with the spurious dialogue of the same name). Lorenz, Hendrik. Ancient Theories of Soul. Stanford Encyclopedia of Philosophy. 22 April 2009 [2013-12-10]. ^ 柏拉图. 理想国. 北京: 商务印书馆. 1986年: 第8卷.